The SB-900 i-TTL Speedlight leads the Nikon Creative Lighting System delivering the portability, power and versatility to support any photographer’s creative lighting imagination. 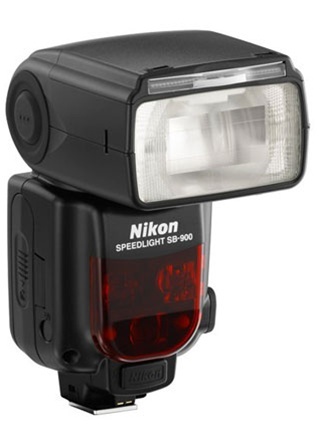 Powerful, Versatile Speedlight Unit - Atop the Nikon Creative Lighting System, the SB-900 is an indispensable portable light source providing effective solutions to lighting challenges. 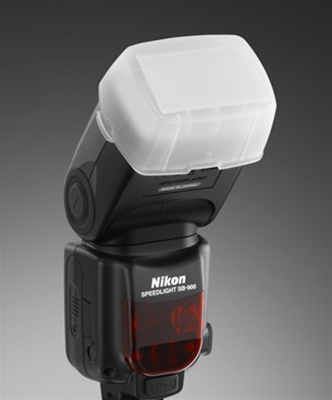 Nikon’s Precision i-TTL Flash Control - Delivers precise flash exposures and seamless fill-flash performance—even in challenging lighting situations. Complete Flash Head Positioning Freedom - Bounce 90°up and 7°down with 360° rotation elevates creative lighting freedom. 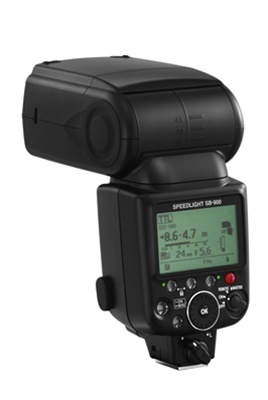 Hot Shoe and Wireless Operation - Use on-camera, as a wireless Master Commander or as a wireless remote light source. Renowned Dedicated Wireless Flash Control - Wireless Commander Mode offers wireless control at the master Speedlight position, controlling up to 3 remote Speedlight groups and an unlimited number of compatible Speedlights. Four wireless channel options help manage wireless conflicts in multi-photographer environments. Expanded Auto Power Zoom Coverage - Smoothly covers lenses as wide as 17mm and up to 200mm in FX-format and as wide as 12mm and up to 200mm in DX-format use. Choose From 3 Light Distribution Patterns - Optimize light quality by selecting Standard for general illumination, Center-weighted for portraits or Even, for groups or interiors. Streamlined Controls and Menus - Convenient Rotary Select Dial sets key functions quickly and a prominent Master and Remote control switch simplifies wireless operation. Flash Tube Overheat Protection - An added measure of safety is provided for sustained high-speed bursts. Automatic Format Identification - Automatically senses the FX or DX-format camera in use and optimizes light distribution. Drip-Proof Mounting Foot Cover (Water Guard)* - Provides enhanced moisture protection.